IndiGo said it would cancel 30 flights every day till end of February but due to weather conditions and airspace closure at Bengaluru airport, actual cancellations are more than planned. Even as India’s largest airline continues to be marred with mass flight cancellations due to restructuring of its roster, the company believes that it has enough pilots and that its operations are expected to stabilise by April 1. “We have enough pilots … but certain circumstances came together — we wanted to have more buffer but expatriates came in later, inductions came in later, we had a very tough winter that exhausted our pilots in terms of hours and the hailstorm, which was completely unpredictable. So when we had to re-roster, it became very difficult and we had to cancel flights,” IndiGo’s chief operating officer Wolfgang Prock-Schauer told The Indian Express. Prock-Schauer said that the airline had 1,260 captains on its roster, translating to about 6.65 captains per aircraft according to which the roster was planned but the culmination of various factors resulted in the operations going haywire. IndiGo said it would cancel 30 flights every day till the end of February but due to weather conditions and airspace closure at Bengaluru airport, actual cancellations are more than planned. Also Read: Explained: Why is IndiGo cancelling its flights? What lies ahead? To deal with lack of pilot buffer, Prock-Schauer said that IndiGo was in process of hiring 120 expatriate pilots by end of June, of which 20 have already joined the existing roll of 40 foreign pilots. 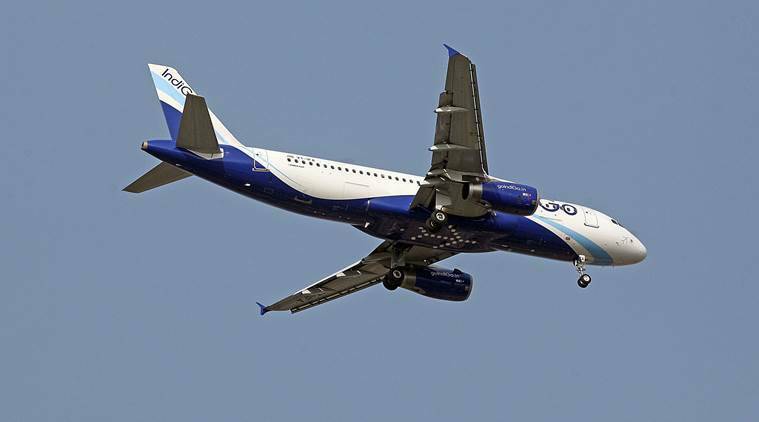 As of date, 60 expatriate captains are flying for IndiGo. The Indian Express had reported last month that IndiGo had 93 foreign pilots as of December 15, 2018, compared with 59 on August 9, 2018. The Directorate General of Civil Aviation (DGCA) issues foreign aircrew temporary authorisation (FATA) temporarily to overcome the shortage of trained senior pilots in the country, the Centre is also moving towards reducing the dependency of foreign pilots. Prock-Schauer also said that the company was in a position to promote 20 per cent of its current crop of first officers to commanders every year. Last year, IndiGo promoted 200 first officers to captain rank. “We have 1,260 captains and if you take this in relation with our aircraft, it is 6.65 captains per aircraft. If you look at the industry, the average is between 5-6, and 7 captains per aircraft will be very comfortable,” he said. “Going forward, if I can enhance this and have some buffer, I will do it. We constantly do pilot projections, and for this year we will be able to manage, and as the number of first officers increase, eventually we can meet the expansion needs on our own,” he added. While airlines in India hire expatriate pilots to meet the shortage of trained senior pilots, it is considered to be an expensive proposition for the companies, considering foreign pilots are paid more than their local counterparts. The DGCA norms also stipulate each airline a limited number of foreign pilots on their roster for a limited period, till such a time they are able to train and upgrade the Indian pilots to replace the expats.